Please read my separate Sony A6300 review before delving into the earlier Sony A6000, NEX-6 and NEX-7 below. Sony Alpha A6000 camera mounted with 16-50mm E-mount lens (16 oz total) or sharper Sony 18-200mm OSS E-mount SEL18200 silver lens (33 oz total). Sony DSC-RX100 camera version III (10 oz, 2014) − read my RX100 article. The “best” travel camera is the one you want to bring everywhere. Before the Sony A6000 was introduced, for the sharpest images from the smallest box, a top choice was Sony Alpha NEX-7 camera with 24 megapixels (mp) or Sony NEX-6 with 16-50mm Retractable Zoom lens — much smaller than a DSLR camera! Mirrorless interchangeable lens compact (ILC) cameras have revolutionized travel photography beyond the legacy of DSLR designs. 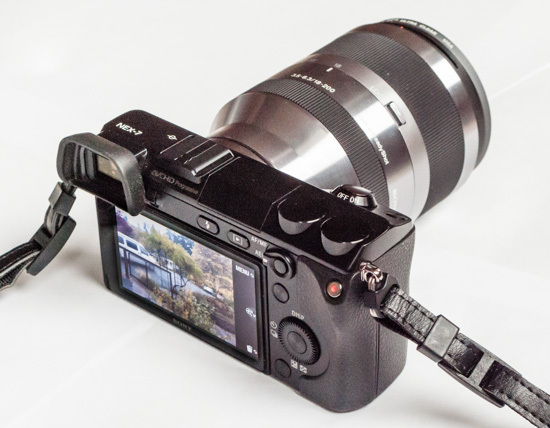 The archive article below reviews Sony NEX-7 and NEX-6 advantages, disadvantages, workarounds, lenses, autofocus/Manual/macro tips, firmware updates, and compares to a Nikon D5000 DSLR and Sony RX100 pocket camera. Mount the 18-200mm lens on Sony Alpha A6000 which has very fast Hybrid Autofocus (beating NEX-6 and -7). Sony says A6000 autofocus (as fast as 0.06 seconds) is the world’s fastest on a mirrorless camera with an APS-C image sensor as of 2014. The Sony Alpha NEX-7 shaves 12 ounces and improves large-print quality by up to 40% compared to my former DSLR, a Nikon D5000 with Nikon 18-200mm VR II lens (a top 2009 camera weighing 45 oz including lens, cap, hood, battery and strap). Sony Alpha NEX-6 shaves 14 ounces and improves image quality by 25% compared to a Nikon D5000 with 18-200mm lens. 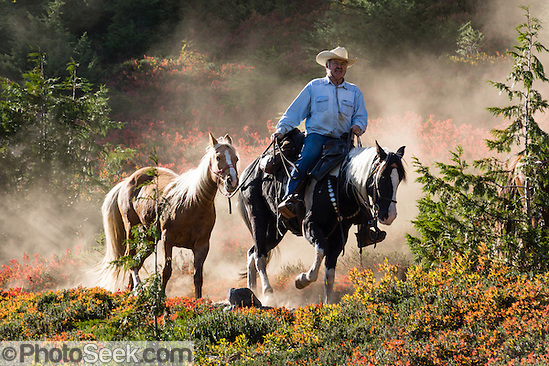 NEX-7 autofocus speed is fine for landscapes and moderate action (see horse rider photo). But the newer NEX-6 (now beat by A6000’s AF) accelerates autofocus with Hybrid AF (modifying a 16mp sensor with pixels devoted to phase detection), reducing shutter lag near DSLR speed. A pricey NEX-7 has a huge 24mp sensor (highest for APS-C Type cameras in 2012) for larger prints and sharper cropping to enlarge wildlife or birds. More economical was the 16-mp NEX-6, which thankfully added Hybrid AF (improved autofocus speed), a physical mode dial, Wi-Fi connectivity, and Quick Navi menu (all of which are sadly not found in NEX-7, which annoyingly requires 3 menu button presses to change modes P, A, S, M, SCN, etc). For travel, the LE version Sony 18-200mm OSS black SEL18200LE lens (16-oz) is a good match for NEX-6, whereas NEX-7 demands a Sony 18-200mm f3.5-6.3 OSS silver SEL18200 lens (18.5 oz) or prime lenses further below. On the go, protect your camera and 18-200mm lens in a Lowepro Toploader Zoom 50 AW Bag (which I carry on a custom chest harness for hiking and traveling). Read my review/BUY page to compare with other camera brands such as Canon and Nikon — see how I decided that NEX was best! In 2013, sharp photographers could pack the most-portable punch with the amazing Sony Alpha NEX-6 with 16-50mm Retractable Zoom lens (12 oz body + 4 oz lens, 24-75mm equiv), which saved $350 and 2 oz of body weight compared to a Sony NEX-7 camera . A high-res OLED Electronic Viewfinder (2,359,000 pixels, superb 1.09x magnification) gives more accurate feedback on a final digital image than a non-digital optical viewfinder. The sharp EVF appears larger than the camera’s external screen and is easier to see in bright daylight. A tilting 921,600-dot LCD jump-starts your creative macro, movie, and candid shooting comfortably at arm’s length. NEX-7 beats rival APS-C sensor cameras for resolution, with 3400 resolvable lines per picture height (LPH) from raw files (versus 2800 LPH for NEX-6 and 2400 LPH for Nikon D5000, each measured on prime lenses). NEX-7 raw files (name extension .ARW) resolve more detail than a costlier full-frame-sensor Canon EOS 6D or 5D Mark III (2800 LPH) from ISO 100-1600. For capturing lower noise, full-frame cameras of 2012 require ISO settings above 1600 to clearly beat NEX-7 or -6. Full-frame Sony Alpha A7R Mirrorless Digital Camera (16.4 oz body, 36mp, 2014). Full-frame Nikon D800 camera (32 oz body, 36mp, 2012) is twice the weight and size of a NEX-7. NEX-6/NEX-7 capture excellent dynamic range (bright to dark) and the lowest noise at high ISO compared to APS-C rivals. Using ISO 6400 capturing dim action indoors, my NEX-7 shot publishable images for a spotlit theater production. TIP: When shooting at ISO ≥800, capture 1 stop less noise by using Anti Motion Blur (my favorite) or Hand-held Twilight mode. Both modes can automatically set ISO up to 6400, thereby working around Auto ISO being sadly restricted to ≤1600. Hand-held Twilight (a Scene mode under SCN) helps get sharper low-noise, low-light shots of static subjects without a tripod for ISO ≥800. Six frames are auto-shot continuously then stacked into a single JPEG image to lower noise levels (requiring 8 seconds processing time, delaying the next possible shot). Hand-held Twilight mode cannot create a raw file, but the resulting improvement in hand-held JPEG image quality couldn’t otherwise be captured. Anti Motion Blur (set directly on virtual mode dial) likewise makes a JPEG file but favors faster shutter speeds to freeze action or steady hand-held telephoto, at the cost of setting ISO higher (noisier) than Hand-held Twilight mode. Sweep Panorama mode instantly stitches exciting JPEG panorama images horizontally or vertically (although manually stitching panoramas from multiple raw files is reliably superior in Adobe Lightroom software version 6 or in Adobe Photoshop software ). Sony NEX ingeniously pops-up a small flash, which can be tilted up for bounce. For brighter reach and to avoid shadows from 18-200mm lens, mount Sony HVL-F20AM flash on NEX-7 (but NEX-6 requires Sony ADP-MAA Multi-Interface Shoe Adapter ). Sony 16-50mm f/3.5-5.6 OSS Alpha E-mount Retractable Zoom Lens (SELP1650) , which only slightly compromises sharpness in comparison and is cheaper when bundled with NEX-6 or newer A6000. Sony E-mount 18-200mm f/3.5-6.3 OSS silver (SEL-18200) lens (18.5 oz) on a NEX-7 captures the highest quality images for the smallest weight of any 11x zoom system for APS-C sensors of 2013. This 18-200mm “all-in-one” lens captures sufficiently-high quality for my professional print publications, such that no other lens on this page need be carried. See “Advantages/Disadvantages of Sony 18-200mm OSS lens” sections further below. The Sony 18-200mm silver (SEL-18200) lens with 67mm filter size is clearly sharper than the newer, slightly smaller 16-oz Sony 18-200mm OSS black SEL18200LE lens with 62mm filter size (new 2012, colored black). I recommend SEL-18200 for NEX-7 or NEX-6, but the black LE version (SEL-18200LE) only for a NEX-6 due to its lower resolution. Tip: Blur Index Test A (2011) shows SEL-18200 is sharpest around f/5.6 to f/8 through its 11x range. Sony 10-18mm f/4 OSS Alpha E-mount wide-angle zoom lens (8 oz, 2.75×2.5 inches, SEL1018, 2012) is significantly sharper than SEL-18200. Sharpest at f/5.6 to f/8 as you zoom, with least distortion from 14-18mm, good for shooting architecture indoors and out, plus landscapes and slot canyons. Sony FE 24-240mm f/3.5-6.3 OSS E-mount lens (27.5 oz, 36-360mm equiv, 2015) favors telephoto reach in a good 10x travel zoom (about equal in sharpness to similar SEL-18200). Sony E-mount PZ 18-105mm F4 G OSS (15 oz, SELP18105G, 2014) 6x zoom, APS-C-only lens: suffers from large (correctable) pincushion distortion. SELP18105G is as sharp as SEL-18200, and is a bit sharper than SEL-18200LE in the image center from 50-105mm. Sony Vario-Tessar T* E-mount 16-70mm F4 ZA OSS lens (11 oz, SEL1670Z, 2013) 4x zoom, beats kit lens sharpness. Slightly beats SELP18105G and SEL-18200 from 18-70mm. Sony E-mount 70-200mm F4 G OSS lens (30 ounces, SEL70200G, 2014) premium glass supports new Sony A7/A7R full-frame-sensor (FE Series) cameras, as well as Sony A6000, NEX-7, and NEX-6. $1750: 83 oz for 225-900mm equivalent lens on A6000: Sigma 150-600mm f/5-6.3 DG OS HSM Contemporary lens for Canon EF (2015, 68 ounces, 4.1 x 10.2″, best telephoto reach for the money), mounted on Sigma Mount Converter MC-11 on Sony A6000 camera (2014, 12 oz body) or pricier A6300. Note that Sony A-mount 70-400mm F4-5.6 G SSM II lens (53 oz, 3.7 x 7.7 inches, SAL-70400G2, 2013) or previous Sony SAL-70400G lens can be adapted onto a NEX camera using Sony LA-EA2 Adaptor (7 oz, with translucent mirror for fast phase detection autofocus) but lacks OSS, thereby limiting hand-held photography and increasing tripod usage. For NEX, I recommend Sony “SEL” E-mount lenses, but not necessarily lenses coded SAL. Sony SAL lenses are designed for full-frame (and APS-C) Alpha DSLR cameras, requiring a hefty 7-ounce A-mount adapter (Sony LA-EA2 Adaptor ) for lens autofocus to work on an E-mount NEX. The few choices for E-mount (SEL) lenses may motivate adapting certain SAL lenses onto a NEX. But using an adapter may decrease quality and doesn’t support image stabilization on a NEX. Also, SAL lenses are heavier, requiring larger diameter glass than would an E-mount lens of the same focal length designed for APS-C-only. NEX-6/NEX-7 cameras don’t need an adapter to support full-frame E-mount “FE Series” SEL lenses (announced October 2013 along with Sony A7 and A7R full frame E-mount cameras). The pricier FE Series glass diameter transmits an image circle large enough to cover a full frame sensor, meaning that the (smaller) APS-C sensor in NEX cameras can take advantage of the sharp center sweet-spot with little vignetting. is sharpest from about f/4 to f/8 (on Blur Index Test B for SEL50F18 on a NEX-5). Caveat: If sharpness is your only goal, the Sony 50mm lens only beats SEL-18200 at f/5.6 to f/8 when tested on a NEX-5 (which may also be true for NEX-6). However, SEL-50F18 may beat SEL-18200 at a brighter range of F stops on a NEX-7 (see dxomark.com). Test results on a NEX-5: compared to SEL-18200 Blur Index Test A (2011) zoomed to 50mm (where brightest aperture is f/5), a prime Sony 50mm lens (Blur Index Test B for SEL50F18) has slightly sharper corners at f/5.6 to f/8. But the Blur Index for SEL-50F18 from f/1.8 to f/2 resembles SEL-18200 at f/16, its f/2.8 is as sharp as SEL-18200 at f/11, and its f/4 is as sharp as SEL-18200 at f/8. has Optical SteadyShot (OSS) for sharper hand-held photos (without a tripod), as slow as a quarter of a second, an improvement of over 3 stops slower shutter speed! serves well as a high-quality standard lens (about $450). is sharpest at f/5 at infinity and f/4 at two feet. may be sharpest of the four, but costs several times the others’ price (about $1100). Blur Index Test C shows that SEL-24F18Z is sharpest around f/2.8 to f/5.6. is a great value standard lens (about $200), excellent for landscapes, but not as sharp or bright as Sony SEL-24F18Z. **Note: Real world lens use often makes lab testing moot. In Blur Index Tests A, B, and C (above) done on a 16mp NEX-5 in 2011, the 50mm and 24mm Sony prime lenses don’t have a striking advantage over using the SEL-18200 lens; but later tests at dxomark.com (2013) indicate clear advantages of using these prime lenses on a 24mp NEX-7. The above Blur Index Tests A, B, C measure sharpness at the optimal focus plane, found by focus bracketing on a NEX-5. Today’s constantly improving quality and diversity of cameras give us many great tools for the job. Portrait photographers often want lenses designed for attractive bokeh (the artistic character of out-of-focus areas) at bright apertures such as f/2.8 and f/1.8. But optimal sharpness for a lens on APS-C and full frame cameras is usually a few stops down from brightest aperture, as shown in the above Tests A, B, C. Landscape photographers like me often say “f/8 is great” as we care about both highest resolution of detail and depth of field. Depth of field increases at higher F numbers such as f/11 to f/16, but diffraction through progressively smaller openings limits sharpness (blurs the resolution of image detail). Prime lenses tend to be sharper than zooms. But I find that a Sony 11x zoom (silver SEL-18200 ) easily captures publication quality on NEX-7 and instantly frames rapidly-changing travel subjects without the extra bulk and annoyance of swapping lenses. Now holding down the AF/MF Button locks autofocus (instead of half pressing the shutter button). The best splash-proof, dust-proof, hardy midsize camera of 2014-2015 for travel (with Micro Four Thirds sensor) was the Olympus OM-D E-M5 Micro Four Thirds Digital Camera (Mark I) (2012, 15 oz weather sealed body) with splash-proof M.ZUIKO DIGITAL ED 12-50mm f/3.5-6.3 EZ lens (24-100mm equiv, 7.5 oz, with splendid video, macro down to 36×27 mm). Sony A6000 with 16-50mm lens (2014, 12 oz body + 4 oz lens with Fast Hybrid Autofocus, 24mp) beats Olympus OM-D E-M5 in price, AF speed, and more (except E-M5 has a weather sealed body). Olympus OM-D E-M10 Camera (Mark I, 2014, WITHOUT a weather-sealed body) is $300 cheaper than an E-M5, for equal image quality. But Sony A6000 easily beats Olympus E-M10 (due to larger sensor APS-C versus Micro 4/3, faster autofocus, smaller body, longer CIPA battery life of 420 shots per charge versus 320, faster 11 fps continuous shutter, and more movie modes; with equal viewfinder & LCD). Olympus OM-D E-M5 features: high res Electronic Viewfinder (EVF), tilting 610,000-dot OLED LCD, 5-axis sensor-shift image stabilization, best 16mp sensor. The external, clip-on weather-sealed flash unit fits easily in a pocket. Panasonic Lumix G Vario HD 14-140mm f/4.0-5.8 ASPH./MEGA O.I.S. lens (16 oz, 28-280mm equivalent) − rivals the optical quality of competing 10x to 11x zooms from Nikon, Canon, Sony, Olympus, and Tamron (on cameras with APS-C and Micro Four Thirds sensors). This 14-140mm lens also mounts on Panasonic Lumix DMC-G6, GF5X, G5 and Olympus OM-D E-M5 and E-M10 cameras. Olympus M.Zuiko Digital ED 14-150mm f/4.0-5.6 lens (10 oz, 28-300mm equivalent) is lighter weight but not as sharp as Panasonic 14-140mm. Most compact (1.1″) Premium “X” lens (without weather sealing): Panasonic Lumix G X Vario PZ 14-42mm F3.5-5.6 ASPH OIS lens (3.4 oz, 2012). For the same weight but twice the price as FZ1000, you can upgrade to Sony A6000 with 18-200mm lens and APS-C sensor (having 3x bigger light-gathering area, but maybe not as sharp at long end of telephoto). Sony Cyber-shot DSC-RX10 camera (2013, 29 oz) is more compact, with 8x zoom lens, f/2.8 maximum aperture (which is f/7.6 equivalent in terms of 35mm-size-sensor-systems throughout its 24-200mm equivalent). Olympus Stylus 1s (2015, 14 oz with 28-300mm equiv f/2.8 lens) is the world’s smallest camera having an 11x zoom on a 1/1.7″ type sensor. Its great electronic viewfinder is same as Olympus OM-D E-M5. Good 410-shot CIPA battery life. Panasonic Lumix DMC-FZ300 (2015, 24.4 oz, 12 mp, bright f/2.8 lens throughout 25-600mm equivalent, 24x zoom range, with OIS/Optical Image Stabilization, HD Video with sound, and raw file support) introduces weather sealing to keep out dust and moisture. Save money on earlier, non-sealed FZ200 or FZ70. Olympus SP-100 camera (2014, 21 oz, 16mp, 50x zoom, 24-1200 equivalent, 1 cm close focus, nice 920k dot EVF): innovative On-Camera Dot Sight helps track distant birds or moving subjects. Sony Alpha SLT-A65V camera body only (from Amazon.com) (2011, 22 oz body with SteadyShot INSIDE Stabilization, 24mp APS-C sensor), plus Zeiss Vario-Sonnar T* 16-80mm f/3.5-4.5 ZA DT lens (24-120mm equiv, 16 oz). Tilt/swivel 3.0-inch LCD. Big OLED viewfinder (EVF). 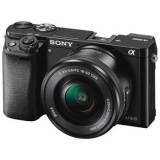 Upgrade: sophisticated Sony Alpha SLT-A77 Digital Camera. However, the newer Sony A6000 with 16-50mm lens (2014, 12 oz body + 4 oz lens, 24mp) with Fast Hybrid Autofocus mirrorless camera puts similar 24mp sensor quality into half the body size, while focusing unusually fast with hybrid AF built into the sensor. NEX-6 introduces Hybrid AF, with autofocus nearly twice as quick as NEX-7. Although its autofocus is generally fast, usually without much lag, a NEX isn’t as good for shooting fast action (like birds in flight) with tracking-autofocus (which I rarely use), where traditional DSLR cameras can focus faster than mirrorless ones. (Optical SteadyShot) zoom lens, optimally shot from f/5.6 to f/8. See lens recommendations above. Nikon VR II and latest Canon IS lenses may beat Sony’s OSS for stabilizing hand-held shots by up to one stop of slower shutter speed (but NEX low-noise at high ISO can make up the difference). Because they’re targeted for camera bodies with sensor-shift image stabilization, Sony A-mount (SAL) telephoto lenses lack optical stabilization (no OSS) and require a hefty A-mount adapter to work on a NEX camera. A sharp Sony A-mount 70-400mm F4-5.6 G SSM II lens (2013, 53 oz, SAL-70400G2) or previous SAL-70400G can be adapted onto a NEX camera but lacks OSS, thereby limiting hand-held photography. LA-EA1 (with Manual focus only, NO AUTOFOCUS). For lightweight travel: Kenko 400mm fixed-f/8.0 Mirror Lens with T-mount Adapter for NEX (12+2.4 oz, Manual focus only). Auto Review responsiveness is now instant (fixed by NEX-7 firmware update v1.01). During Playback, the Center button nicely zooms to 100% pixel level to check sharpness and toggles back to the full image. When deleting a single image, don’t be alarmed by “Deleting Files” plural message — just the one image is deleted. Press Down on the control wheel to display thumbnails of a given file type, press Left, press Center button, choose the type of file that you want to view, then finally press Center button again. Very annoying! Or, press MENU > Playback > ViewMode > Folder View (Still) / Folder View (MP4) / AVCHD View. Or, to Playback the thumbnails of the file type which were not last recorded, record a quick test file of the type you want then press Playback then Down (then delete the test shot). As with Nikon cameras, Sony NEX-7 / NEX-6 have poorer menu/button structure than user-friendlier Canon and Panasonic cameras, thereby requiring extra time to learn the oddly-buried menus. Because an Electronic Viewfinder (EVF) consumes more power than an optical viewfinder, battery life for NEX-6/NEX-7 will be shorter than for a DSLR camera (see COMPARISON TABLE below). When trekking away from electrical outlets, buy extra Sony NP-FW50 Lithium-Ion Rechargeable Batteries (1080mAh) or longer-lasting 1300mAh Wasabi Power brand NP-FW50 (1300mAh). 24-megapixel files from a Sony NEX-7 are so huge (full of luscious detail) that you’ll need to spend more money upgrading to the latest, most powerful computer with lots of RAM and 64-bit Operating System (not 32-bit), in order to optimize memory-handling in important programs such as Adobe Lightroom software (and Adobe Photoshop). Each Fine JPEG file typically consumes 6 to 7 megabytes of card/disk space and requires downsizing before sending two or more per email. Sensor type: APS-C, CMOS. Focal length multiplier 1.5x. APS-C, CMOS. Focal length multiplier 1.5x. APS-C, CMOS. Focal length multiplier 1.5x. Autofocus (AF) type: New, quicker Hybrid AF combines fast phase detection with contrast detection. Good AF in movies/video. Fairly fast contrast-detection AF. Good AF in movies/video. Fast phase-detection AF using viewfinder, but very slow 2-3 second AF in Live View on LCD. No AF in movies/video. Drive speed frames per second (fps): Up to 10 fps “Speed Priority Continuous” with focus fixed at first shot, or 3.7 fps “Continuous Shooting” with autofocus on each shot. Up to 10 fps “Speed Priority Continuous” with focus fixed at first shot, or 3.7 fps “Continuous Shooting” with autofocus on each shot. Up to 4 fps Continuous with autofocus on each shot. Close focus distance: 10 inches, 1:4.7 reproduction with 16-50mm lens. 10 inches, 1:3.7 reproduction with 18-200mm lens, albeit rather fuzzy. Read Macro topic at bottom of article. 20 inches, 1:4.5 reproduction with Nikon 18-200mm lens. Viewfinder: 2,359,000 pixels electronic/EVF covers 100% with 1.09x magnification (0.73x equivalent in terms of full frame)! 2,359,000 pixels electronic/EVF covers 100% with 1.09x magnification (0.73x equiv)! optical pentamirror covers 95%; with 0.78x magnification (0.52x equivalent in terms of full frame), sadly just half the viewing area of NEX-7 or NEX-6! LCD: 3 inches. 921,000 pixels. Xtra Fine LCD with Tilt Up 90° and Down 45° 3 inches. 921,000 pixels. Xtra Fine LCD with Tilt Up 90° and Down 45° 2.7 inches. 230,000 pixels, fully articulated, but hard to use in Live View due to painfully slow autofocus speed, 2-3 seconds. Sony 18-200mm f/3.5-6.3 OSS e-mount SEL18200 silver lens (18.5 oz, 27-300mm equiv) lens is the most versatile travel lens for A6000 and NEX. Sony Alpha NEX-7 camera with versatile Sony E-mount 18-200mm f3.5-6.3 OSS lens (33 ounces total) is the world’s best all-in-one travel system. Tiffen 67mm Digital HT Circular Polarizer filter to remove reflections from water, plants, and shiny surfaces, or to increase contrast between darkened, polarized blue sky and non-polarized clouds. Only mount a polarizer when it makes a desirable change to the scene somewhere within a rotation of 90 degrees when held up to your eye. Don’t leave the polarizer on the lens, as light passing through the extra glass is reduced by a stop or two. Also, a polarized view of the world is artificial. Sony SEL-18200 lens weighs only 18.5 oz for an 11x zoom (27-300mm equivalent focal length, in terms of 1.5x crop factor for APS-C). Sony SEL-18200 lens includes Optical SteadyShot (OSS) – image stabilization to steady handheld shots by 2-4 stops slower shutter speed, important for on-the-go travel photography. At 200mm, OSS stabilizes hand-held shots more sharply as slow as 1/60th of a second shutter speed (maybe not as good as latest Nikon VR II or Canon IS by up to one stop of shutter speed). Surprisingly, when mounted on a 16mp NEX-5 or NEX-6, Sony’s 18-200mm OSS lens can be sharper than a prime Sony 24mm f/1.8 E-mount Carl Zeiss Sonnar (8 oz, SEL-24F18Z) lens from apertures f/8 to f/22 (but cannot reach the prime’s sharp f/2.8, has softer corners at f/4, and may soften contrast). But on a 24mp NEX-7, prime lenses have a clearer advantage. For brighter shooting f/1.8-2.8, see “Prime lenses for Sony NEX” further above. 200mm is sharpest at f/6.3-f/8. Note: While f/16 can increase depth of field, f/16 resolves detail blurrier than most brighter apertures (wider openings, as above) on this 18-200mm lens (and most SLR lenses in general), due to diffraction through a smaller opening. Easily correct its noticeable chromatic aberration and distortion automatically in Adobe Lightroom 4: Develop > New Preset > Lens Corrections (check box), and apply to every image upon Import. See how this works on a single image by using Develop > Lens Corrections > Profile > Enable Profile Corrections. Sony SEL-18200 equals or beats the quality of the popular Nikon DX 18-200mm VR II lens . From 18-200mm on a Sony NEX-7, image quality is up to 40% better than my previous Nikon D5000 camera with a Nikon 18-200mm VR II lens. Delightfully, cropping shots from 24mp Sony NEX-7 using this Sony 18-200mm lens beats the resolution of my 26-oz Nikon 70-300mm F4.5-5.6G ED-IF AF-S VR Zoom lens from 70 to 250mm on a Nikon D5000 (but not from 250 to 300mm). Upgrading to a Nikon D3200 camera (2012, 18 oz body) with 24mp sensor would clearly sharpen images from a Nikon 70-300mm lens beyond Sony’s 18-200mm lens, but swapping/juggling two big lenses hinders the joy of travel. Sony’s “LE” version (black-colored SEL-18200LE) of its 18-200mm lens is okay for a NEX-6 but not for NEX-7. The LE version saves 2 ounces and may be more appropriate for the lower resolution of a NEX-6. with 62mm filter size (new 2012, colored black). Due to larger sensor (APS-C), mounting SEL-18200 on NEX-6 or NEX-7 beats using a Panasonic HD 14-140mm lens on Micro Four Thirds Sensor cameras (with same 2-pound system weight). Flash shadow: Sony 18-200mm lens (SEL18200) casts a shadow from 18 to 50mm using NEX-7 pop-up flash, fixed by mounting taller Sony HVL-F20AM flash on a NEX-7 (for which NEX-6 requires Sony ADP-MAA Multi-Interface Shoe Adapter due to a newly designed hot shoe). In its defense, Sony 18-200mm (SEL-18200) lens quality equals or exceeds that of competitors’ 18-200mm or ≥11x lenses. In zoom lenses with ranges smaller than 11x, most camera brands (Nikon, Canon, etc) offer better optical quality in various larger, heavier, or brighter lenses (“faster” f/2.8 maximum aperture). But a lens with zoom range less than 11x lacks flexibility of composition and requires frequent swapping with other lenses, thereby interfering with creative momentum and hindering travel convenience. 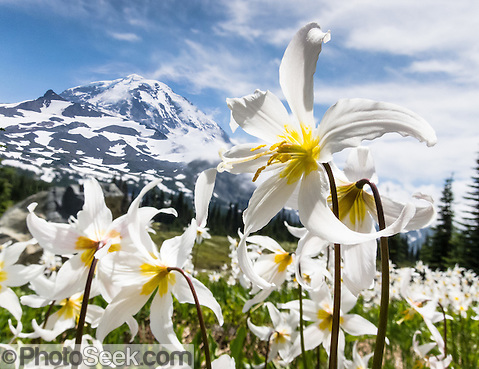 Right photo: White Avalanche Lilies bloom along Spray Park Trail, in Mount Rainier National Park, Washington. In light bright enough to shoot at ISO 100 to 400, when zoomed to their widest angle of view, small-sensor cameras can focus closer while capturing much deeper depth of field than normal lenses on larger-sensor cameras. Focus stacking: To further increase depth of field, two overlapping photos were manually stitched into a composite, using Layers in Adobe Photoshop. In two separate shots, I focused on the flower at 5 cm (Macro mode) and on Mount Rainier at infinity, using a pocket-sized Canon PowerShot S95 camera lens set to 6mm (widest angle). Firmware 1.01 thankfully makes Auto Review instant and usable. Fixed problem: Auto Review was formerly unusable due to long delay/black screen before automatically displaying the shot image. Unfortunately, NEX-7 doesn’t have the new Hybrid AF (for faster autofocus) found on NEX-6. Hoping to expand my NEX-7 by adding a Sony Zeiss 24mm, but I’m torn between this and the heavy 18-200mm which you praise so much, as my 55-210mm is really not very sharp and I could do with a good longer lens. (I guess both would be ideal with a second body to avoid switching lenses and also serve as a backup in emergencies. Budget question.) I have a Sigma 30mm (very good) and Sigma 16mm (less good), but would like a faster lens, i.e. the Zeiss. Will you be going with the new Sony A7? I was waiting for the A7, but the news that all new lenses would be needed made up my decision not to go that way yet. I have Sigma 16mm + 30mm, the Sony Kit [lens 18-55mm F3.5-5.6] and 55-210. Both of the latter are so so as far as quality. I would like a fast short lens and have been saving for the Zeiss 24mm. Unfortunately there are no decent longer prime lenses. I tested two 90mm Zeiss Sonnar (Contax) lenses. One was sharp, the other was not and both got stuck on the adapter. I just wished for a good autofocus lens (with manual override when time allows) around 90mm or above, not too slow and also not too heavy. I rarely do wildlife, but some landscapes need a tele. Many thanks… Your original report incidentally was decisive for my purchase of the NEX 7 a year ago. — The new Sony A7 and A7R full frame cameras are intriguing, but require new, heavy, full-frame lenses, with restricted zoom ranges. A7/A7R won’t work well with Sony 18-200mm lens (which would vignette and crop the image down to APS-C size, removing the full frame advantage). — The new full frame FE Series E-Mount 70-200mm F4 Sony G OSS lens (30 ounces, SEL70200G) will have very good glass for super sharp telephoto — a NEX-7 will use just the center, sharpest part (at the cost of extra weight and expense compared to an APS-C-only lens). — For a NEX-7 lens 3.5-oz lighter than Sony 18-200mm, consider the 6x zoom Sony E PZ 18-105mm F4 G OSS (SELP18105G, for E-mount NEX APS-C-only) 15 oz. — Prime lenses are a good idea on a 24mp NEX-7 if you intend to make very big prints: 2013 tests on a 24mp NEX-7 at dxomark.com show that a Sony 24mm f/1.8 E-mount Carl Zeiss Sonnar lens (SEL-24F18Z) is significantly sharper than a 18-200mm lens set at f/4 at 24mm. But the difference is minor on a 16mp NEX-6 or NEX-5 (in 2011 tests by SLRgear.com). — For bird/wildlife photos, a 27-oz Sony 70-300mm (SAL-70300G) lens plus 7-oz Sony LA-EA2 A-mount adapter (with fast phase-detection autofocus built-in) would be much sharper than the 18-200mm (SEL-18200) lens, but sadly Sony 70-300mm lacks OSS (as SAL lenses are designed for Alpha bodies with Inside Stabilization). — I find Sony 18-200mm to be surprisingly good from 18 to 70mm, then not too bad through 200mm, sufficient for my publications. I like OSS to hand-hold wide angle shots at 1/15 second to blur streams while keeping stationary subjects sharp, which would be harder to keep steady (without tripod) on Zeiss 24mm which sadly lacks OSS. In my recent 1-month Dolomites trip with my wife, our luggage was much lighter without carrying a tripod. For lightweight travel, a NEX-7 with 18-200mm lens (33 oz total) easily beats my former Nikon D5000 with Nikkor 18-200mm. For my publications, 11x zoom range flexibility for rapidly-changing travel subjects trumps absolute sharpness. — A little perspective: my pocket-sized backup camera Sony RX100 (version I, 8.5 oz, 2012) captures great wide-angle macro and landscape quality better than a Nikon D40X DSLR from 2007!